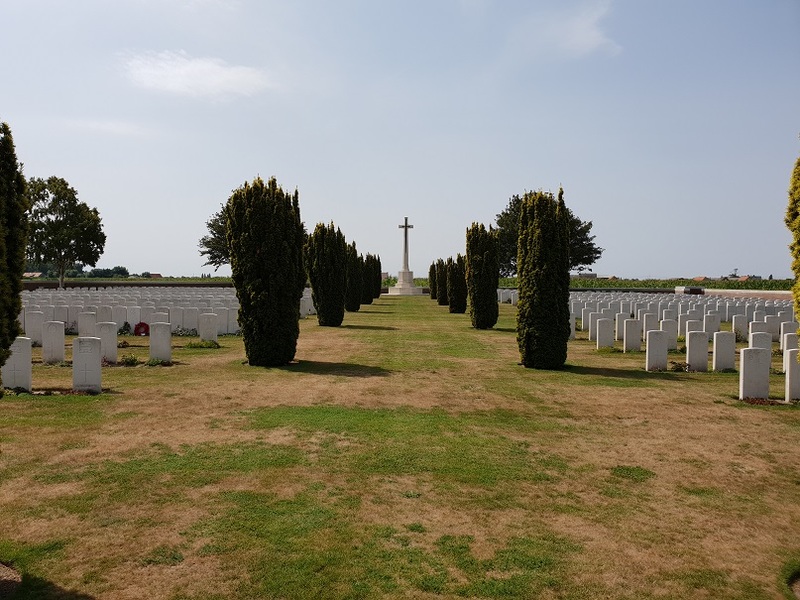 Mendinghem Military Cemetery is located 17 Kms north-west of Ieper town centre on the N308 connecting Ieper to Poperinge and on to Oost-Cappel. 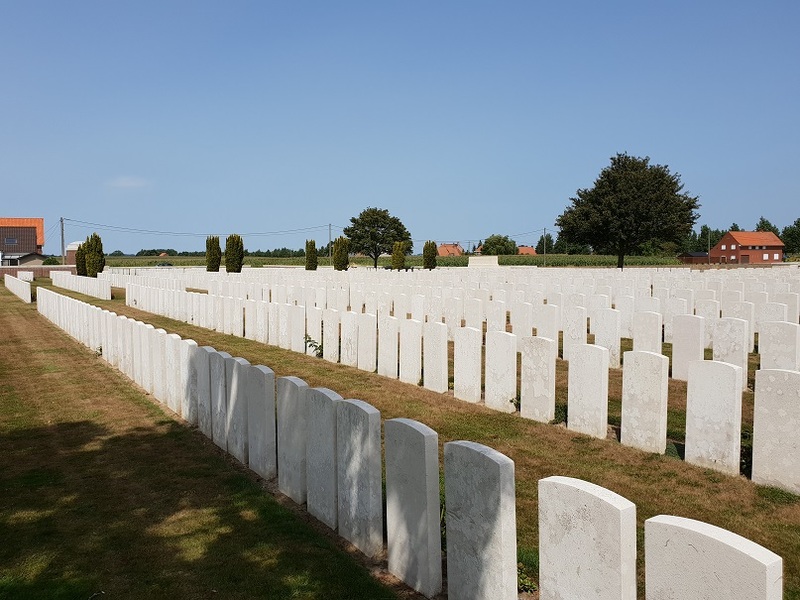 Mendinghem, like Dozinghem and Bandaghem, were the popular names given by the troops to groups of casualty clearing stations posted to this area during the First World War. In July 1916, the 46th (1st/1st Wessex) Casualty Clearing Station was opened at Proven and this site was chosen for its cemetery. The first burials took place in August 1916. In July 1917, four further clearing stations arrived at Proven in readiness for the forthcoming Allied offensive on this front and three of them, the 46th, 12th and 64th, stayed until 1918. From May to July 1918, while the German offensive was at its height, field ambulances were posted at Proven. The cemetery was closed (except for one later burial) in September 1918. 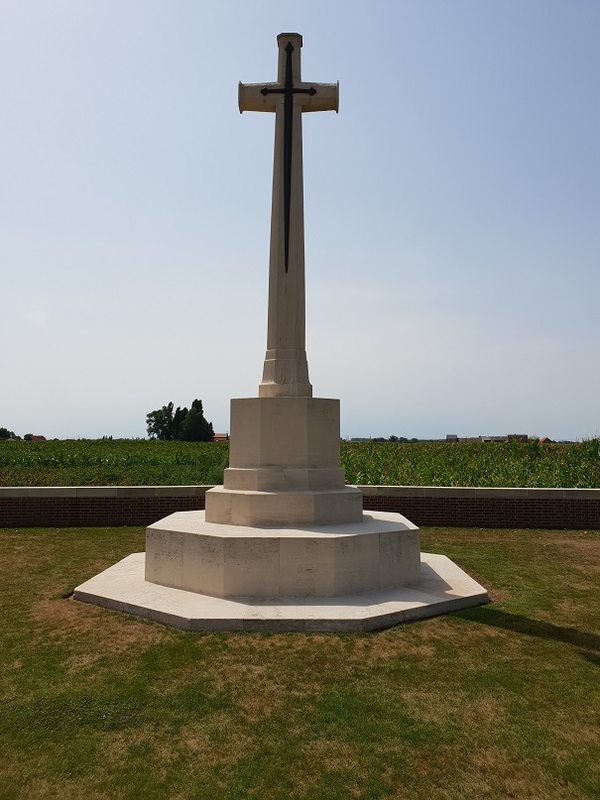 There are now 2,391 Commonwealth burials of the First World War in this cemetery and 52 German war graves. The cemetery was designed by Sir Reginald Blomfield.